This Gears! Gears! 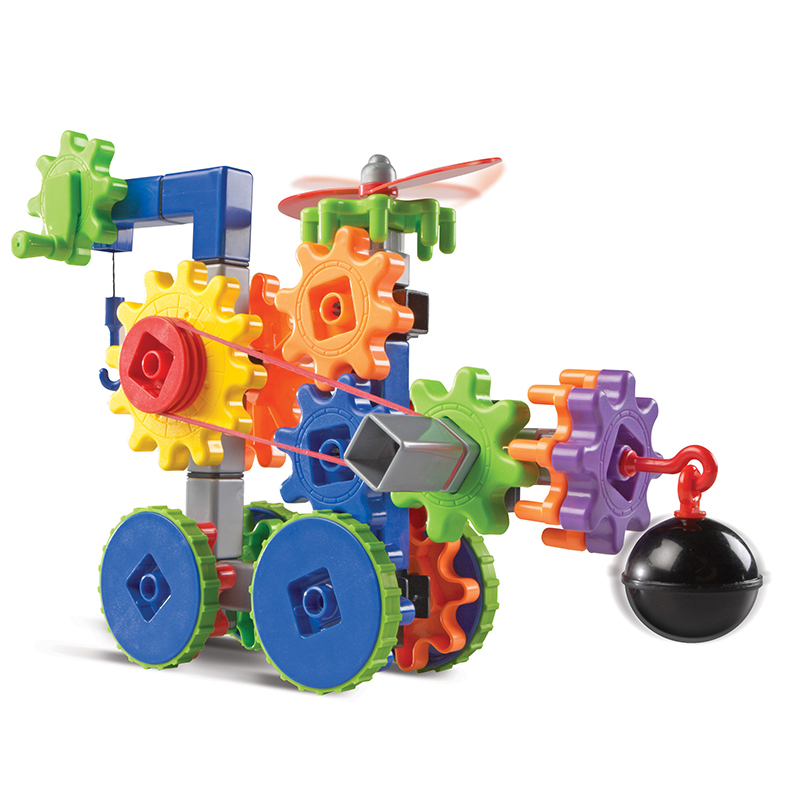 Gears!® Machines in Motion is a great toy/exercise for following instructions or being creative. I ordered this set for my 5 year old who loves legos, building and pretty much all vehicles and she is having a blast with it. I think it has about 116 pieces and it comes with an instruction booklet for how to build specific moving vehicles and equipment. My daughter loves to show that she can follow building directions so that was the first thing she wanted to do with the set. The instructions are all images, which is nice but they are a bit confusing/overwhelming for a 5 year old to follow; it's just too much on one page and could be done differently to make it easier for younger children to follow. This is a the only reason I gave the product 4 stars; it is otherwise, a great toy. Once she finished creating her first piece using the instructions and with some help from dad, she used the leftover pieces to make her own little imagined helicopters which she loves. The product is well made and comes with enough pieces that you can make some pretty cool things. The piece move easily and work with the other gears sets. I do wish that it would have come with more rubber bands, as they are inexpensive and I'm assuming they will start breaking eventually and we'll have to come up with replacements somehow. But for now, it's lots of fun and creativity in a box!